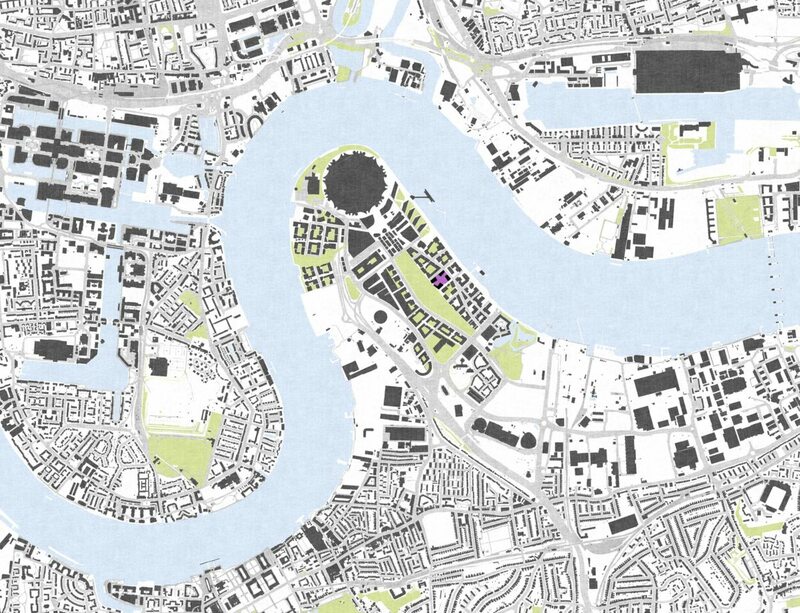 Greenwich Peninsula is the largest waterside regeneration project in London since Canary Wharf and the surrounding Docklands in the 1980s. 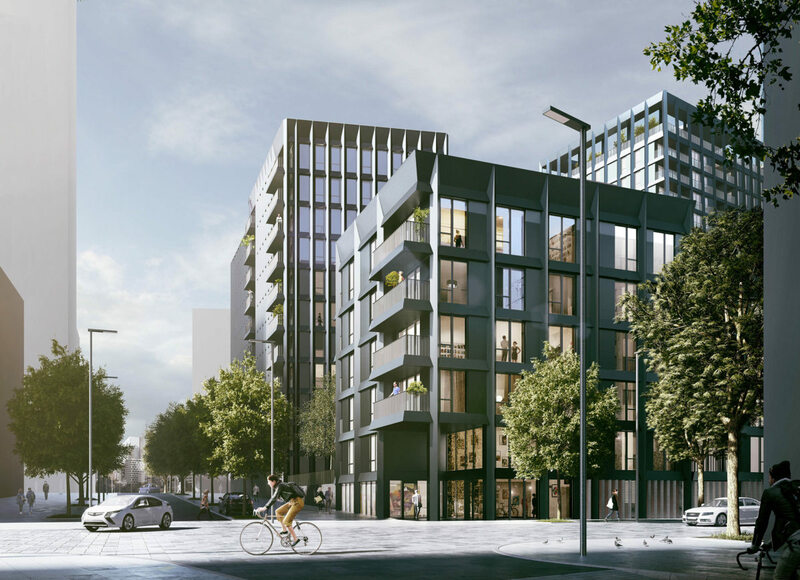 Consisting of seven new neighbourhoods, Alison Brooks Architects joins a world class collection of architects: Santiago Calatrava, SOM, Marks Barfield, DSDHA, and Duggan Morris, in creating a new global centre for living, working and leisure in London. 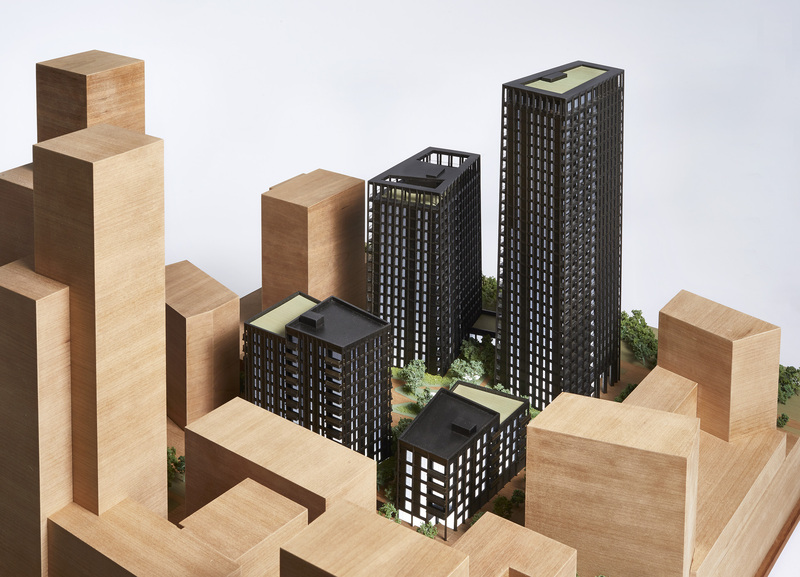 Alison Brooks Architects received planning approval in April 2017 for a cluster of four residential towers of varying heights in East Parkside’s central plot. 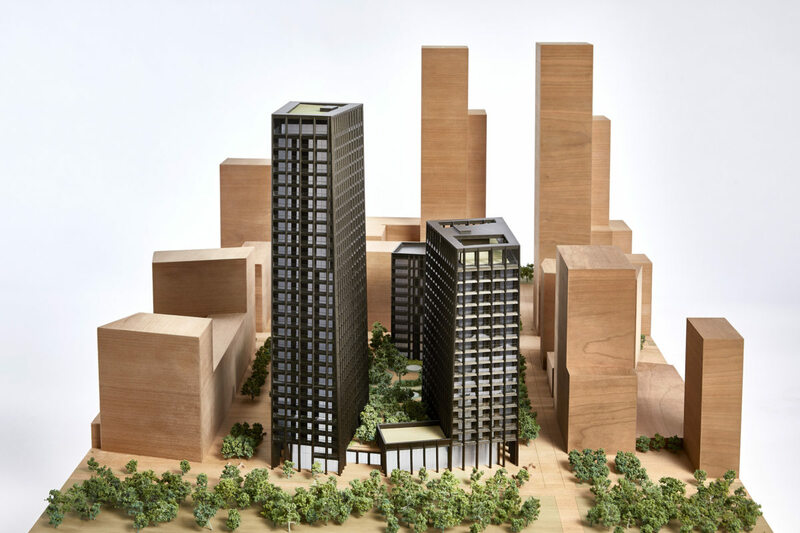 This project re-defines the language and identity of London’s high density residential architecture as a quiet, dignified and robust ‘frame’ that can adapt to other uses over time, for example; offices, education, hotel, commercial; or a mix of the above. 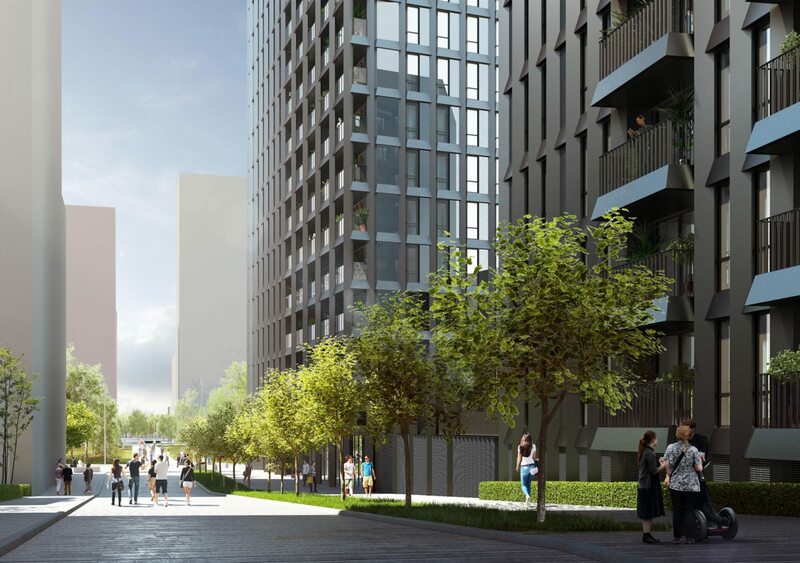 The scheme comprises 400 dwellings, co-work and leisure space at ground floor and podium level. A colonnaded plinth connects all these elements, forming a generous communal garden. 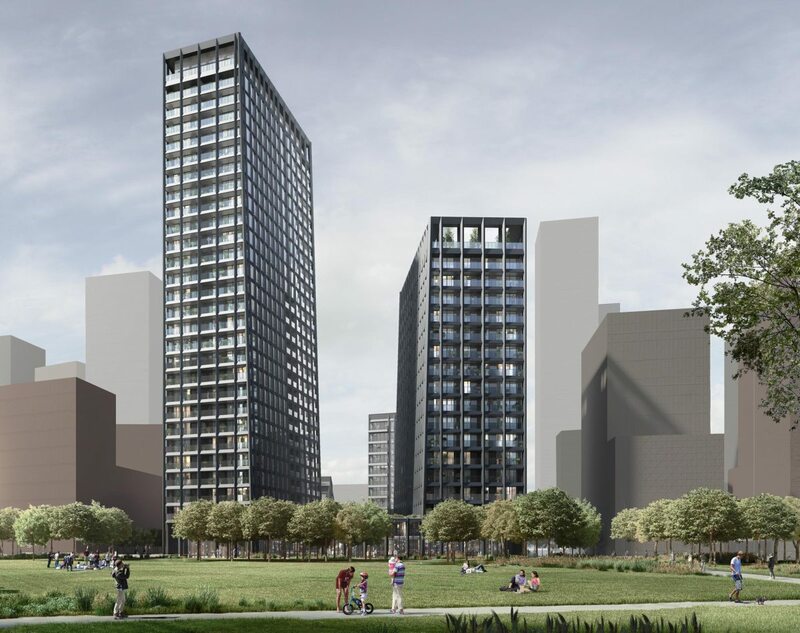 The scheme sits in a prominent location along the eastern edge of the site’s Central Park. In the grand tradition of London garden squares, this will itself be a focal point for the community. The parkside facades are defined by continuous loggias; a metal lattice that reaches from ground floor to penthouse level, offering depth, privacy and shelter from sun and wind. 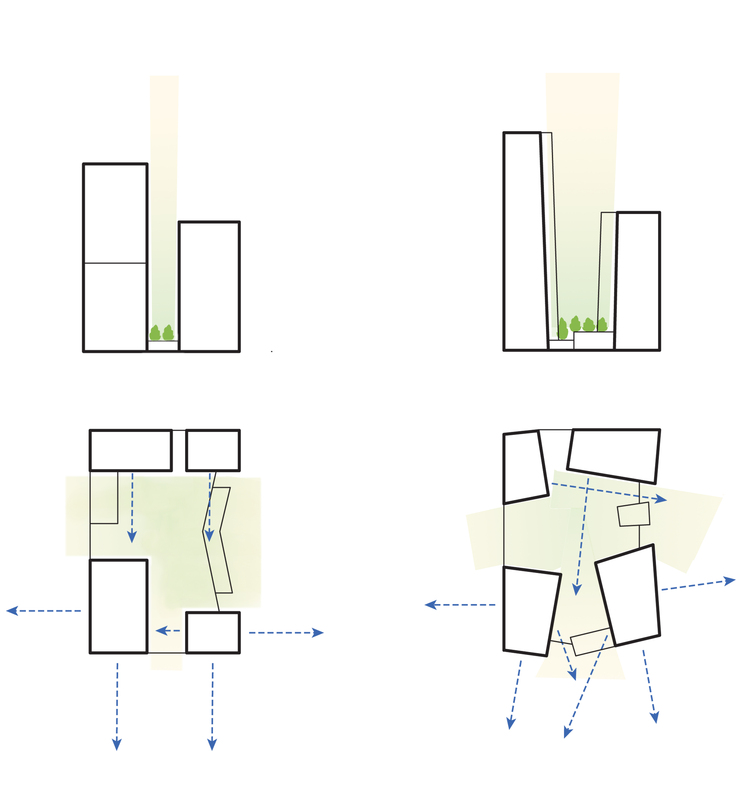 The four buildings radiate in plan, responding to the curve of the park edge opposite, while maximising views of the park and river. The metal lattice of the towers and their tapering forms were inspired by the industrial heritage of the local area; the gas holders and cast iron clad chimneys of Greenwich Power Station, as well as the modernist tradition of an expressed frame. Clad in faceted reflective aluminium, the surface appearance of the buildings will subtly and continuously change in response to the light, sky, and seasons. 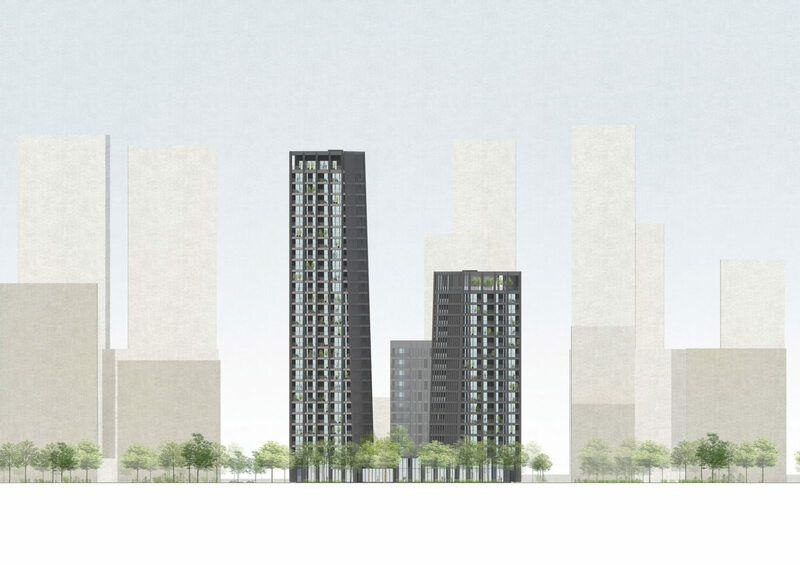 The two towers – 28 and 17 storeys – on the south west of the site, face directly onto Central Park. Two lower buildings of 12 and five storeys are located to the north east of the site. Collectively, the towers will provide high quality and fully accessible homes with a variety of types and tenures. 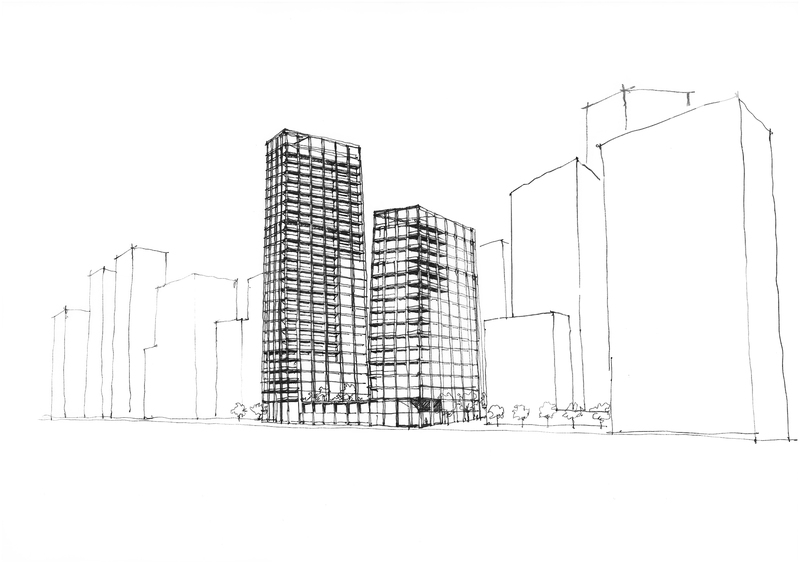 Interior spaces will be generous with 2.7m high ceilings and raw, exposed finishes. 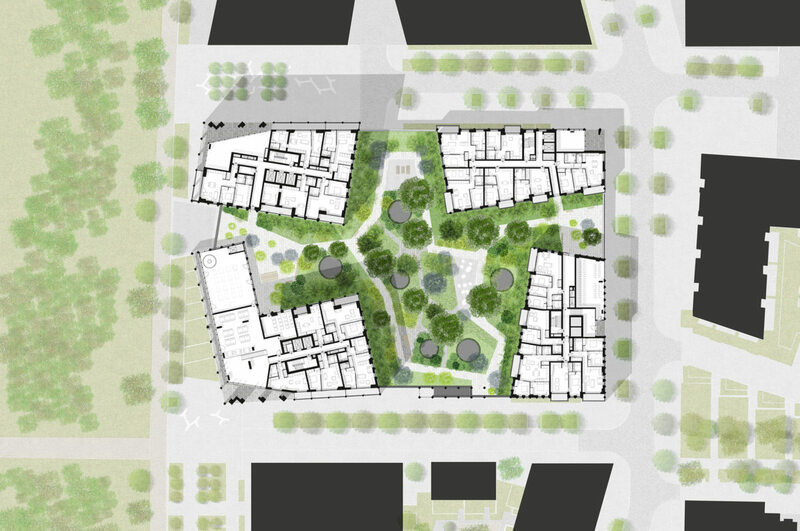 Each building has 360 degree views, colonnades, roof gardens and co-working spaces.